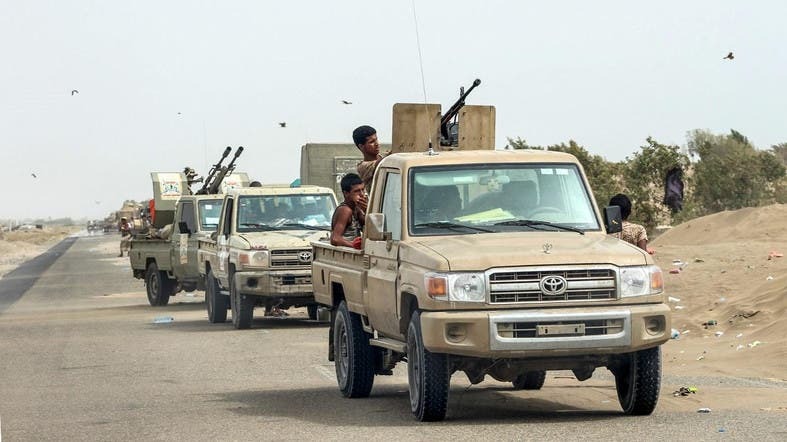 The Yemeni army and the resistance thwarted several attacks and infiltration attempts carried out by Houthi militias on the legitimate force’s assemblies in the directorate of Tahiti and Duraihami located south of the city of Hodeidah. According to the site, “Septembernet,” the army was able to stop an attempt by Houthi militias who planned to outflank them in al-Tahiti directorate, as well as a similar plan in Duraihami. Sources from the national army confirmed that dozens of militias were killed and injured as a result of the clashes, and more than 30 were arrested. Among those killed was Commander Ahmed Yahya Ahmed al-Dai al-Makeni (Abu Khaled) and Hamoud Ahmed Abu Halfa al-Makeni (Abu Nasr), commander of the group who planned an attack in Al Tahita. The army and resistance forces launched a counter-attack on Houthi assemblies and locations using coalition air strikes in the east of Tahita and Duraihami. The aircraft targeted militia concentrations in a number of farms near the main road between Taiz and Hodeidah and in the Zabid and Jarrah districts. According to local sources, Houthi militias closed the main road between the directorates of Beit al-Faqi, Zabid, and Jarrah, located southeast of Hodeidah, by digging multiple trenches, setting up dirt screens, and launching a large scale arrest campaign in Zabid.